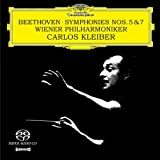 Among conductors like Klemperer. Bohm, Karajan & others, Bernstein is as good with Johannes Brahms as them. 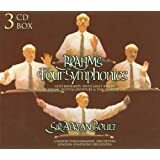 He recorded twice these symphonies in Sony [once known as CBS] & DGG, with both the New York Philharmonic [Sony] & Vienna Philharmonic [DGG]. Of course many will prefer the DGG, but let's be honest: the ones he originally made with the NY Philharmonic still stands as good choice. Having heard these readings of the Brahms 2nd and 3rd on LP, I came back to them recently, only to disscover that my memory was mistaken. 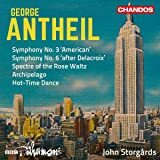 These aren't, as I recalled, soft or indulgent performances but grand, sometimes muscular ones, unexpectedly so in the case of the Second, whose first movement is unusually passionate. 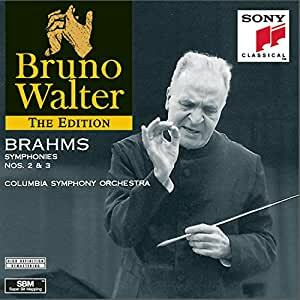 At the time of their release in 1962, the most famous Brahms recordings were being made by Bruno Walter, and the Second and Third Sym. were the highlight of his cycle with the ad hoc Columbia Sym., played with geniality, serenity, and wisdom. Bernstein counters with the opposite approach, giving us drama and inner turmoil. Tempos tend to be slowish, but the energy level remains intense. 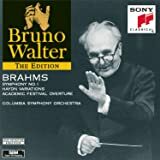 LB took a psychological slant on Brahms; for him the romanatic joy that caps these two symphonies is the payoff after romantic struggle, even agony. The NY Phil. plays with committed intensity, and the soundstage is huge. The hard rawness that I remembered in the sound has been fairly well smoothed out by remastering, except in the loudest passages. The miking is close-up enough that we get to enjoy the wonderful solo woodwinds, especially in the Second. For anyone who's skeptical, sample the lilting Scherzo, which LB phrases with real spontaneity. The opening of the Third bursts out with a sense of swelling joy that's remarkable. Another note to skeptics: LB doesn't use excessive rubato and all the tempos are completely normal. In later years he would take a much more personal view of Brahms, but in this early period, one can only call him exemplay. These two readings offer more sheer pleasure than Karajan, Szell, and Klemperer, yet are almost completely overlooked. 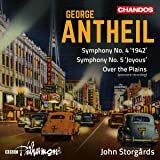 These renderings of two Brahms symphonies conducted by Leonard Bernstein and the NYPO are all one would want in these interpretations. Carefully measured and with the right amount of heft for the composer. Personally, I am not interested in Brahms Lite, so these -- and there are others to be had -- met all of my expectations. Sony has done well by these old Columbia recordings. They sound clean and crisp. Same as above. I love Brahms and Bernstein. Thank you. 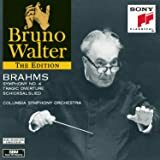 Love Brahms, love Bernstein-one of the all time great interpreters of Johannes Brahms; It is a no-brainer made in the recording studio--I love it! !